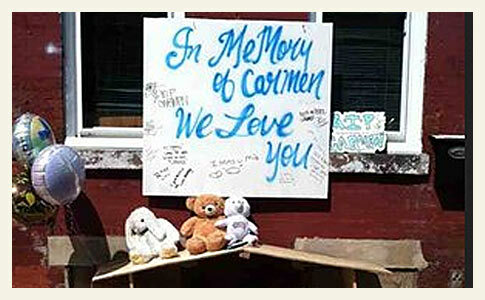 Memorial sign after Carmen Ramos was mauled to death by her husband's pit bulls. When the dogs were returned, everybody on the block "was in shock," [Gus] Castro said. 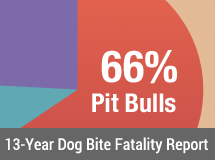 Unfortunately, returning a dangerous, biting pit bull to its owner should not shock anyone, as many state laws allow for multiple bites prior to deeming a dog "dangerous" and long before a court ordered euthanization. What should shock all persons is when a rabies protocol violation occurs -- a disregard or error concerning the 10 day quarantine following a biting incident -- coupled with a person being mauled to death by the same dogs in a very close time span! Further review of early news reports shows more potential protocol violations by the PSPCA. One neighbor, Victor Viruet, claimed that Jose Alvarez had at least three previous run-ins with the agency. According to his brother Ariel, "He kept paying $200, $300 and they'd give the dogs back." Ariel added that the PSPCA removed 10 dogs from the Alvarez home last year and found dead dogs in his basement. The agency later returned the "living" pit bulls to him. On September 1, City Managing Director Brian Abernathy launched an internal investigation into animal control -- the PSPCA -- to review if proper procedures were followed. It seems that many procedures were not. At the very least, the discretion of the investigating officers who continued to interact with Alvarez and his pit bulls was sorely lacking. The sufferers include the dead victim and her children, the bitten neighbors and the neighborhood as a whole. Philadelphia, PA - A Hunting Park woman was mauled to death by her husband's pet pit bulls Tuesday night. 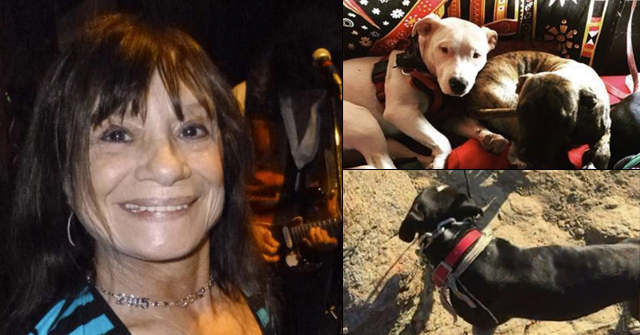 Preliminary autopsy results show that 50-year old Carmen Ramos died from multiple canine bites. The manner of death was ruled accidental, according to the report. The victim's husband, 55-year old Jose Alvarez, told police he came home from work to discover his wife being attacked by five pit bulls in their living room in the 400 block of West Carey Street. According to police, the victim suffered severe trauma to her head, face and legs. Neighbors said the dogs were vicious and that everyone was afraid of them. Neighbors also said the pit bulls were taken away August 19 by the Pennsylvania Society for the Prevention of Cruelty to Animals (PSPCA) after they attacked two residents, but were returned to the residence three days later. The victim's son, Pedro Ramos, now places part of the blame on the animal control agency. 1Some states, such as Pennsylvania (See: Pennsylvania Dangerous Dog Statute), allow for "home quarantine," where the owner of a biting dog is allowed to keep the animal secure for 10 days in his home. Cities within these states, however, often create stricter rules that disallow home quarantines. It is unknown what the protocol is for Philadelphia, but clearly, it was unwise to place the dogs back into the Alvarez household. Sue Cosby, the CEO of the PSPCA, is a die hard Nathan Winograd puppet. This action doesn't surprise me because she subscribes to the "bad rap" of pits spewed by Winograd. I hope this family seeks justice and takes on the PSPCA. And Cosby was with PACCA during that terror reign. Won't people learn? And if the PSPCA hadn't returned the dogs that family would have been insensed about that. While they were endangering the public to return the viscious dogs to the owners after attacking people, if you choose to own viscious animals and they attack you then I'm sorry, you made that choice. It's not much different than choosing to drive drunk and wrapping your car around a tree. I can't understand how people can WANT to live with dogs that pose such a threat? How do you want that in your life? A big part of the joy of having dogs is that they can be such trusted companions. these people got what they deserved. terrorizing their neighborhood like that and now they have the gall to blame AC. i don't care if it is run by winograd nutters. it is despicable that they brought those dogs back into the home. Nutters in Animal Control positions is a major public safety risk. PSCPA is now being investigated by city hall after this breakdown. I can't understand why the dogs were returned BEFORE the mandatory 10-day quarantine? Am I reading this wrong? This is against the law. There are only 2 ways to test for rabies — 10 day quarantine or kill the dog and test its brain. "Gross negligence" is an understatement if the PSPCA failed to properly quarantine these dogs — aka FAILED to follow rabies protocol. Note: Pits are killing adults at rates not seen in other breeds. They are "different". Some states allow for in home quarantine but that would not be appropriate in this case because of prior problems. Sue Cosby was with PACCA, the failed program of Nathan Winograd, and it was found during a city audit that dogs were euthanized prior to the end of quarantine without heads being sent in. Thus several people had to undergo rabies treatments. So it appears Sue is staying true to form with her neglect of the rabies issue. Maybe the dogs were vaccinated against rabies? Now, this case has reached one of the highest offices in City Hall, and the City Managing Director is handling an internal investigation into animal control. (a) CONFINEMENT – Any dog which bites or attacks a human being shall be confined in quarters approved by a designated employee of the Department of Health, a State dog warden or employee of the Department of Agriculture, an animal control officer or a police officer. Such dog may be detained and isolated in an approved kennel or at the dog owner's property. Where such dog is detained is at the discretion of the investigating officer. All dogs so detained must be isolated for a minimum of ten days. Any costs incurred in the detaining and isolation of such dog shall be paid by the offending dog's owner. When the dog's owner is not known, the Commonwealth is responsible for all reasonable costs for holding and detaining such dog. Well this is a new one. It seems the pit bulls may have killed her during the home quarantine period or just a few days after. Think the PSPCA did a follow up check after the 10-days? Or talk to the victims of the Aug 19 attack (the whole point of the quarantine period) after the 10-days? Alvarez appears to be a nasty backyard pit breeder, whose dogs scared the hell out of neighbors. Too bad he's not cuffed to a fire hydrant on the street so that folks can let him know how they *really* feel about him. The pit nutters have decided that the husband actually killed his wife and is blaming it on the dogs. Nutters extraordinaire! 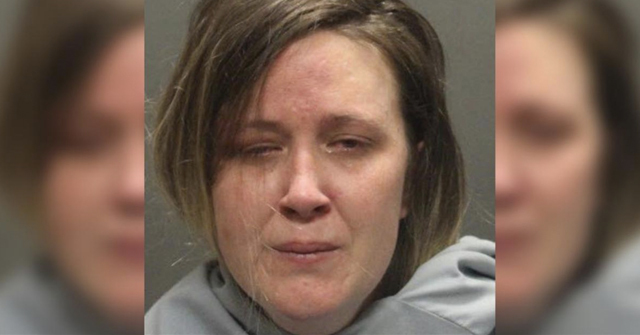 "Tragic story too, because it seems like it was the husband who killed his wife and blamed the dogs…because of course…people would believe him because they are pitbulls…and that's what they do…kill people. Seriously?" And the other nutters are backing up this ridiculous claim. i am shocked that cindy marabito didn't try to pull the husband did it excuse in the darla napora killing. Dawn, I remember reading comments from pit nutters claiming that Napora probably did it and was blaming the dog. I think it was before the infamous ladder excuse was created. What is sickening is how quick the nutters are to jump on any speculation and treat it as fact, and "that must have been what happened." It really is pathological. I had not recalled reading this in May 2011. "The Pennsylvania Society for the Prevention of Cruelty to Animals will, at the end of the year, be bowing out of the animal-control contract it has with the city, officials said. "Animal care and control is a government function," Abernathy said, "and we have to take it seriously in order to do it well." If you thought that the city had ceased its connection with this Winograd/Rick Berman No Kill/pit breeder corruption, you'd be wrong. Even after these crimes, Sue Cosby has been hired to run city animal control again. They are spitting on the grave of Carmen Ramos. Cosby was responsible for the incident with the Ramos attack while leading PSCPA in 2011. "What Winograd/Berman No Kill associate Sue Cosby has been doing in Philadelphia through Philadelphia SPCA aka PSPCA, now glad I'm sure to be rid of her as of Jan 2012. They dropped the animal control contract and Cosby is now engaging in this activity through city run animal control again, ACCT, and making $100,000 a year from the taxpayers to make pit bull breeders and dog fighters happy. Plus she can "fundraise" and where will that money come from? Will ACCT be a money laundry for pit bull breeders and fighters who don't want to be busted? The city did a "nationwide search" and then hired Cosby, who did this to a citizen victim Carmen Ramos as well as broke the law? Winograd/Berman stick their racist white breeder interests into Philadelphia through Cosby via shill former city councilor Jack Kelly. Victims like Carmen Ramos and their families don't stand a chance. And Adam Zipkin of katydid's Newark NJ is involved with Cosby and Winograd/Berman/AFF as well. The maimed and dead pile up." A newspaper article that detailed this was written by another shill of Winograd/Berman/Animal Farm Foundation, Tara Murtha. She completely leaves out all the crimes committed at PACCA animal control that exploded in 2008 with Cosby there, as well as their harassment of the former PSPCA head in order to give the job to Cosby, as well as the crimes that Cosby committed in this attack while at PSPCA handling animal control. The media protects dog fighters and pit bull breeders via the Winograd game again. Jack Kelly is affiliated with Winograd. Do a search for "Adam zipkin Nathan Winograd" and see the Winograd conf list of Sue Cosby's associates. What happened to Carmen Ramos and her family, the laws that were broken, and Cosby is promoting herself via Winograd, Rick Berman, and AFF. Abernathy is just another dishonest politician who does not reveal the Winograd/Rick Berman connections pushing their shill Sue Cosby into the job. Hiring Sue Cosby is an abomination. He should be ashamed of himself for pandering to Rick Berman and Winograd, and hiding it from the public. The lies are flying thick among the politicians and managers of Philadelphia. Corruption still rules the day. 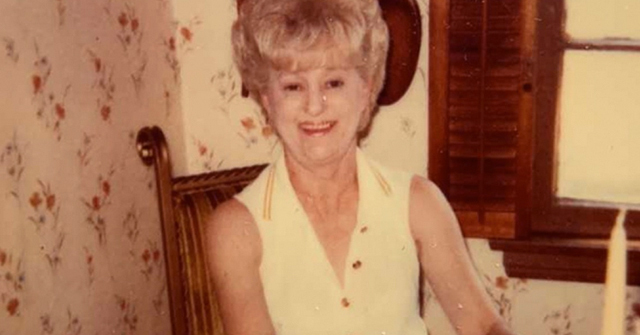 Carmen Ramos died in vain because Philadelphia managers would rather pander to rich dog fighters, breeder lobbyists, and puppy mill breeders. How could anyone take a DVM seriously when he is involved with people who break rabies quarantine laws, don't report bites, let animals die of disease in cages, overcrowd, blame victims of attacks, hand out vicious dogs, give biters back to owners, among a multitude of other crimes, not just poor protocol, but crimes. Perhaps Moyer does not know what these people stand for, and that Rick Berman is in the shadows behind this charade, or is he a recipient of favors? This is inexcusable and unprofessional behavior, and Moyer should be investigated.